Cloud | When will you ApplyLogic? ApplyLogic has been awarded a CATS+ prime contract with the State of Maryland as Veteran Owned Small Business Enterprise (VSBE). The CATS+ contract will enable the State government to procure IT consulting and technical services (in 17 functional areas) quickly, efficiently and cost effectively. The period of performance is from January 21, 2017 through April 21, 2028. “We are excited and proud to have the opportunity to broaden our customer base and demonstrate our capabilities to the State of Maryland,” said Jeff Ramella, President of ApplyLogic. ApplyLogic, announced today that Inc. magazine has ranked it one of the Top 5000 Fastest-Growing Private Companies in the country. 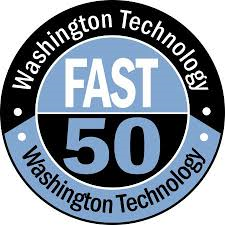 “We are honored to be recognized as one of the country’s fastest growing companies. In a time where mediocrity is the norm, our philosophy remains focused on going above and beyond to deliver excellent service to our clients,” said Jeff Ramella, President. Companies such as Yelp, Pandora, Timberland, Dell, Domino’s Pizza, LinkedIn, Zillow, and many other well-known names gained early exposure as members of the Inc. 5000. ApplyLogic has been certified as a Local Disadvantaged Business Enterprise (LDBE) with the Metropolitan Washington Airports Authority (MWAA). We are excited, as this certification will allow ApplyLogic to service and support MWAA more quickly and directly.